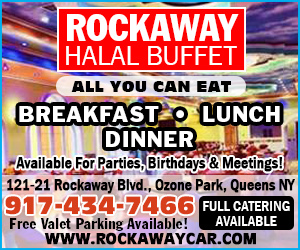 The two-year old New York National Cricket League (NYNCL) held its first annual awards presentation and dinner last Saturday night at the spacious Royal Empress Hall on Rockaway Boulevard in South Ozone Park. 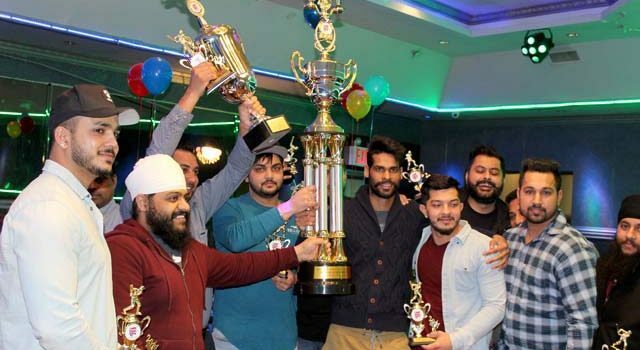 Formed in 2016 as the brainchild of Sonia and Ramesh Arunasalam, the league has more than doubled its roster of teams from 12 to 28 in just two years, playing both 30-overs and T20 cricket tournaments. It was either the ancient Greek philosopher Aristotle or American philosopher Will Durant, who once said, “We are what we repeatedly do, Excellence then, is not an act, but a habit.” The National Cricket Club has been habitually practicing excellence for more than a quarter of a century; now the NYNCL will hopefully be the beneficiary of such an excellent habit. The awards ceremony attended by some 200 guests and players was a feast of fun and hardware distribution, with more than 125 pieces of hardware awarded in recognition of outstanding performances on and off the field. 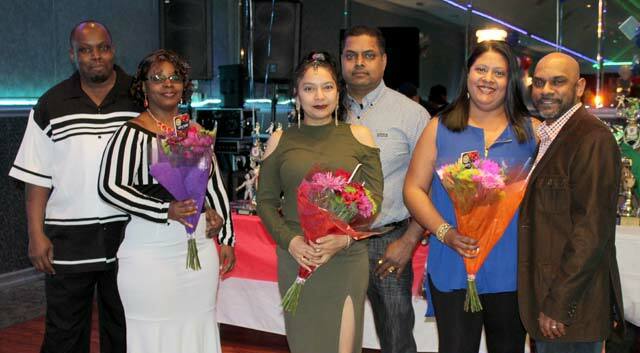 Some of the ladies presented with bouquets of flowers were Sonia Arunasalam, Leah Persaud, Carla Jackman, and Mrs. Krishna Persaud. Some of the award highlights with John Aaron as Master-of-Ceremonies included recognition plaques for eight umpires and league volunteers, mainly the wives of members of the NYNCL Board. The evening’s awards ceremony was capped beautifully with the presentation of 15 navy blue club jackets to the National Cricket Club players. The jackets each have the club’s emblem embroidered over the left breast pocket. It was a fitting end to an evening of celebration, one day ahead of a young golfer named Patrick Reed donning the famous and coveted green jacket of the Masters Golf Tournament at The Augusta National, in Georgia. Excellence has its rewards.